Has your home or business been struck with a flooding disaster and water damage? If you live in the Baltimore or anywhere in Maryland, then the experts at MD Water Damage Restoration will gladly take over the cleaning and restoration work. Our licensed, bonded, and insured professionals will conduct emergency water extraction and damage restoration 24/7. They will work hard to get your property fixed up in a timely manner. For water damage restoration in Baltimore & entire state of Maryland, call 1-888-743-3045. Living next to the Atlantic always bears the risk of rain and flooding events. One hard squall can leave several inches in your basement and a lot of water damage besides. On the other hand, any household can have problems with a washing machine or water pipes. When this happens, you can’t afford to delay getting a crew of professionals to clean up the mess. Call MD Water Damage Restoration right away, and we will be at your property within 30-60 minutes ready to assess the situation and get to work. Since 2001, our teams have been responding to calls for flooded basements and delivered quality extraction and restoration service to our residential and commercial customers in the Baltimore service area. Any kind of flood emergency damages not only the basement or lower floor, including the structural materials of your residence or business, but it can ruin furnishings and other possessions as well. Some of the damage to furniture, electronics and appliance can lead to expensive restoration. Some items can be damaged beyond repair. A flooding event can result in some of the worst type of damage that might be inflicted upon your home or business. Fast action is needed to avoid the onset of other hazards that could risk your property and its occupants. Without prompt cleaning and restoration to remove the excess water and dry the affected areas, this can lead to serious problems. Because the stakes are so high we don’t recommend an emergency like this to be treated as a do-it-yourself project. There is too great a risk to the health of your family, tenants, or workers. Mold – Whenever floods bring excess water into your home or business, there is the danger of mold or other biohazards taking root in dark areas that have undergone water damage. A mold infestation can remain hidden inside walls or in an attic for a long time without you even realizing it, or if the water and its damage are removed but not treated properly, mold can still take root. When you have moisture and oxygen, mold spores can settle on any organic material. Mold infestations can cause serious health issues – even fatal – with prolonged exposure. Black mold, one of the more commonly known, produces air-borne toxins that lead to respiratory problems, inflammation of the skin, nausea, and more. More serious conditions include hemorrhage, mental impairment, and memory issues. Bacteria – Broken sewage or drain pipes can flood a basement or other parts of a home or business. This kind of problem begins with contaminated water. Even pure water left standing for a couple of days becomes stagnated, filled with all kinds of micro-organisms that can cause some serious health issues. It must be removed from the premises and the affected area cleaned and sanitized thoroughly. The longer water is allowed to stand, the deeper it saturates the structure and items present. Biohazards and contaminants – If water has run over yards, streets, and parking areas, it picks up dangerous biohazards and contaminants which will create a unhealthful environment. Water from outside will have oil and fuels from cars and trucks, lawn fertilizers, and animal waste. Professional removal and sanitization are required. Damage to your building’s structural components – Standing water can seep deeper into the structural components of your home if it’s not extracted quickly. It will get under flooring, or soaked into drywall or paneling, wood stairs, insulation, and anything else it contacts. Your home’s safety can be compromised. A water-damage professional can ensure all standing water and dampness is removed properly, and restored to its safe environment. Building materials – Even brick, concrete, and hardwood will be affected over time as water will work its way into even miniscule cracks and holes. As a result, these materials weaken and are vulnerable to more damage. Also, to remove the risk of mold infestation, these materials must be given a special drying process by an expert. Carpets and carpet padding – Carpeting, rugs, and carpet padding are tricky materials to salvage. If the water extraction is done quickly after the flooding and is not already contaminated, a professional can see to it the material is properly dried then safely sanitized and disinfected so that it can be restored to normal use. Loss of personal property – The longer water is allowed to stand, the more it seeps into furniture, boxes, drapes, and other materials. Prompt water extraction by a professional can reduce your losses dramatically. Rapid action can mitigate the dangerous and unhealthy secondary effects that may result from standing water in your basement or other areas of your home or business. 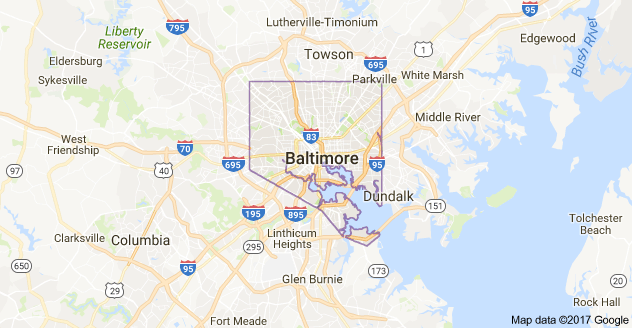 If you live or do business in Baltimore or anywhere in Maryland, call MD Water Restoration and we’ll be there in just 30-60 minutes! Our emergency teams always stand ready to respond to an emergency. You can be sure all contaminants and biohazards will be completely removed from the affected areas. When you call us, you are getting highly trained experts who bring professional-grade equipment to get the job done right. Call us 24/7 if you have any questions or concerns – 1-888-743-3045. Get professional aid for the truly best quality outcome in Baltimore. Identification of flood water type – We categorize water according to its source and the potential contaminants it may contain. Certified by the IICRC, MD Water Restoration experts have the training to identify and deal with any kind of water. Classify the water damage – We assess the whole flooded area of your property, including floors and subfloors. Materials like carpeting and carpet pad, walls/drywall and insulation that have been water-damaged may need to be taken out and disposed of. Other surfaces that require special treatment, such as concrete, brick, hardwood, etc., will also be checked for damage. Water removal – Using truck-mounted pumps, we will extract the water. We work quickly and efficiently to minimize the damage to your property. We check for hidden areas for moisture and dampness with professional grade equipment, dry them out. Restoration of property and contents – We clean and sanitize salvageable building materials and contents; damaged or contaminated items are removed for appropriate disposal. Mold spores and other airborne contaminants and allergens are removed with HVAC cleaning. Then these areas and its materials are cleaned with powerful EPA-approved detergents and antimicrobials to prevent the onset of infestations. Insurance claims support – We help facilitate the claim to your insurance company, providing all documentation of our procedures, including photos of the water-damaged areas and a detailed documentation of our restoration process. Water damage is classified according to its source, and MD Water Damage Restoration has handled a variety of them. Leaking pipes – Broken or leaking pipes can cause a great deal of trouble. Also, old worn out pipes in your basement can lead to severe water damage—or biohazard infestations—if it’s not thoroughly dried and cleaned. Our restoration teams check walls, floors, and other hidden areas for damage and moisture. Burst or frozen pipes – Freezing temperatures outside will do terrible things to an insulated pipe. If it breaks, then you will have a mess in your home or office. Call us and we will pump the water out and ensure the affected area is dried and restored. Hurricane and storm damage – Mother Nature can strike without mercy. If city drainage and natural waterways can’t contain all the rain water, it could end up in your residence or place of business. Our industry-grade equipment and restoration techniques take care of the water damages inside your property. Sewer line backup – If your toilet backs up, plunge it. When a sewage line backs up or breaks, don’t try to clean it yourself. This kind of disaster requires specialized handling by trained professionals. Our cleaning techniques and safety equipment will ensure safe removal, and thorough decontamination of your property with no lingering odor. Water leftover from putting out a fire – After a fire is washed out, that part of your structure that survived the blaze will likely have extensive water damage. Our state-of-the-art equipment and products will clear out any standing water. Then the water damaged areas will be cleared out and restored. MD Water Damage Restoration has been serving since 2001. If you live in the Baltimore area, call us 24/7 and our certified restoration teams will be at your property within 30-60 minutes or less. Our teams have experienced all types of water damage restoration in our service area, including flood damage, flooded basements, and a broad scope of other water-related disasters. We know the stress our customers may be under, and we stay focused on the need to get their lives back to a normal routine.